David Ross Brower (July 1, 1912- November 5, 2000) is considered by many to be the father of the modern environmental movement. Beginning his career as a world-class mountaineer with more than 70 first ascents to his credit, he became the first executive director of the Sierra Club in 1952 and successfully fought to stop dams in Dinosaur National Monument and in Grand Canyon National Park. He led campaigns to establish 10 new national parks and seashores, including Point Reyes, the North Cascades and the Redwoods, and was instrumental in gaining passage of the Wilderness Act of 1964, which protects millions of acres of public lands in pristine condition. 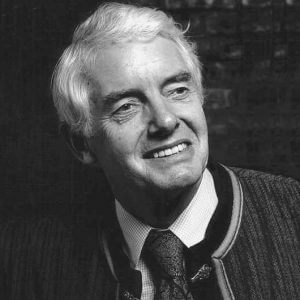 In 1969 Brower founded Friends of the Earth and the League of Conservation Voters; in 1982 he founded Earth Island Institute and the Brower Fund. He also initiated biennial Hope of the Earth Conferences on peace and environmental and social justice. Brower edited and wrote forwards to a long list of books on the environment. He deployed the arts—photography, painting, poetry, prose, cartooning, book-making, film—in the service of the fight to save the Earth. His autobiography is in two parts: For Earth’s Sake (1990) and Work in Progress (1991). He is the subject of John McPhee’s book Encounters With the Archdruid. Most important of all, perhaps, was Brower’s special genius as a teacher, an advocate, and a communicator. Decades of courageous, contentious and joyful activism made him one of the most successful environmental advocates the Earth has ever known. He created a legacy of activism that made the environmental movement not just a part of our day-to-day lives but a way for us to engage the world as an interconnected, integrated whole.